The cost of fully fitted double glazed windows can vary across the UK, but in general it is a very competitive market and if you shop around you could find something within your budget in terms of quality & products. Obviously, the more windows you want to buy the more you will have to spend, but the cost per individual window should work out less if you are buying more than 1 at a time. Most come with a 10 Year guarantee, but you should also get a good workmanship warranty that covers any potential problems for a reasonable period after the windows are installed. Many folks want to get straight to looking at comparing double glazing prices, so below is a representative sample of double glazing cost found online – the cost for your home will be different. These prices are for information only & don't represent an offer to buy or sell. Which type of double glazed window design is the best value for money? What can I do to make the cost of buying new double glazed windows lower? How Much do Double Glazed Windows Cost? - Sample Prices for Double Glazed Windows in 2018. 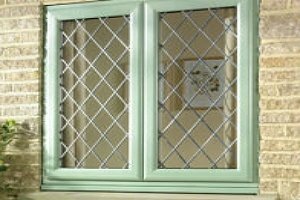 There is more to take into account than just the main dimensions of the window itself, there are quite a few other features that can either lower or raise the cost of your work, for example the quality of the frames themselves & the material, uPVC can be quite low priced in comparison to hardwood or if you choose to have a wood grain coloured uPVC window this design will be more expensive than a standard plain white version. The number of opening windows within the frame can also change the price, as can the type of glass. The double glazed window panes come in different versions, usually you can find sealed units with different width "air gaps", these can range from 5mm to 21mm with options to have the gap filled with an inert energy saving gas such as Argon. The Window Energy Rating (WER) is designated on each unit (applies to the whole window + frames, not just the glass) and it you can expect to find that the higher the WER, the higher the initial pricing. For Sash windows, traditional wooden box sash models will be costlier than any uPVC Casement Window and if you need a bespoke design because of matching your existing property, such as a Bay or Bow Window, or if there is some kind of planning requirement then the cost will definitely be at the top end of the range. How do different double glazed window designs impact on prices? As we mentioned above, there are quite a number of things that can affect the cost of double glazed windows. The first of these is related to what style of double glazed window is being fitted. There are a lot of variations in the market, but in general, you are going to see Casement Windows and Sash Windows as the “foundation” of most of the different window styles. 1 Casement windows – open by swinging on hinges fitted to either the top, bottom or side of the frames. 2 Sash Windows – open by sliding vertically or horizontally within the out window frames. So, from Sash or Casement, which are the cheapest double glazed windows? For any given window size, you are going to find that Sash windows are more expensive than casement windows. This is purely down to the complexity of the Sash window functionality. Sash window frames need to house the counter-balancing system, which means a more detailed designs with more parts and labour. This need for extra material, greater fabrication skills and complicated construction process manifests itself in higher pricing. The frames for Casement windows are very simple and there are a lot less “moving parts”. You will also find that the bigger the opening you need to fill, the wider the gap in pricing will become. So the answer here, is that Casement windows are the cheapest to buy. Having just compared the visual aspect for price, it’s a logical step to now look at the material from which the windows cam be manufactured and how that can impact prices. With wood you have 3 alternatives, soft, hard or engineered timbers. Without doubt, softwood windows will be the cheapest, engineered woods occupy the middle ground and hardwood the top of the timber windows price range. Aluminium windows are fast becoming a favourite due to their longevity, slimline looks and vast colour range, but they are somewhat more expensive than UPVC or Softwood, but very similar in price to hardwood windows. From the above paragraphs you should now have an idea that UPVC is likely to sit somewhere in the middle of the price range for double glazed windows. Not as expensive as aluminium or hardwoods, buy costlier than softwood. So the answer here, is that softwood windows are the cheapest to buy. You should also take into account the performance of the window in terms of energy efficiency as a price factor. You may be aware that Windows & Doors are labelled to identify their energy ratings (The WER label), running from A++ to G (G is the worst rating). It’s probably not going to come as a surprise to learn that A++ rated windows are more expensive than G rated windows. However, a C rating is the lowest acceptable to meet current UK building regulations. So, unless you have some special permission, or reason to do so, you can’t fit double glazed windows rated lower than C to your home. So the answer here, is that “C” windows are probably the cheapest to buy. Theoretically, given what we have covered above, the cheapest double glazed windows to buy are C-rated, softwood casement windows, but are you getting value for money from the purchase? Actually, “value for money” can be a subjective issue – for example; if you were just replacing some existing older failing or broken windows of the same type to give your home a quick facelift prior to selling (and it helped you sell the house), then I dare say that you got great value for money. Or if you are on a very tight budget and were looking to the shorter term, then this is an effective solution to get new windows on a tight budget. This all changes, however, if you look at the longer term comparison. Softwood is notoriously susceptible to failure such as splitting, rotting, shrinkage, expansion, insect damage (woodworm) and so on. Unless you pay very close attention and lavish care and attention, to a set of softwood windows, they are going to fail comparatively quickly and then you have to replace them. At least doubling your costs and certainly doubling the time & effort needed. In terms of lifespan, UPVC and aluminium are very similar, both also having low maintenance requirements. Hardwood windows will last a very long time if you look after them, so it’s pretty much even here. I think, what it’s going to come down to is the cost involved. In our opinion, the best value for money double glazed windows are made from UPVC, because they last just as long, have just as many design options but are lower in price than hardwood or aluminium. There are a couple of things that you can do to help lower the initial cost of buying double glazed windows. One is to do with compromise and the other to do with a little time and patience. If we deal with the areas of compromise first, here are some items that can have variable quality standards and therefore potentially impact prices. Material – look into engineered timbers or even recycled uPVC windows. Glazing – double glazed units run from 6mm to 20mm gap. 16mm is optimal. The 20mm gap (28mm unit in total) is the costliest (6mm might be a bit too narrow). 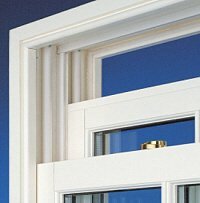 Chambered profiles – UPVC & aluminium have “honeycombed” frames. 6 or 8 chambers can be found, usually less chambers means a lower purchase price without compromising too much on energy efficiency. Opening sections – both Casement & Sash windows prices increase the more sections you have opening. A double hung sash will cost more than a single Sash window (1 section or 2 sections opening). Only have sections that open if you really need them to open. Colours – UPVC & aluminium both have colour options – use the standard colour (white) as you could be charged for a different colour. Do you really need trickle vents? – these are an optional extra and in a well ventilated room you can do without them. Gas filled double glazed units are very effective, but can you manage with standard double glazed units? They are usually less costly. 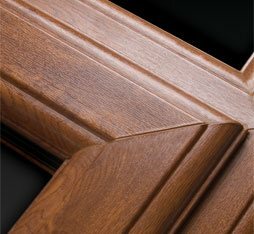 Window Cills – oddly enough, some companies charge for window cills, see if you can get them included in the price. Solar glazing – low emissivity oxide coated glass is great for heat reduction, but can be charged as an extra. Are there windows that don’t need it (e.g.in places that don’t get a lot of sun)? Window furniture – handles & locks, other than standard fittings, can attract an extra cost. If you don’t need fancy coloured, satin, chrome or brass handles, stick with the basic ones and keep costs down. What you can do with a little time & patience! Assuming that you have both, the best thing you can do is shop around. 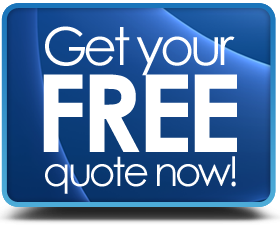 The more quotes you get from different providers, the more likely you are to find a really competitive price for your double glazed windows. If you are not in a super hurry, why not get as many as you can? You can then use the quotes to your advantage to try and negotiate a better deal. Never miss the opportunity to ask for a better deal because the market is very competitive and you should take proper advantage of the “power of being a buyer”. Find out more about the cost of double glazing for your home.